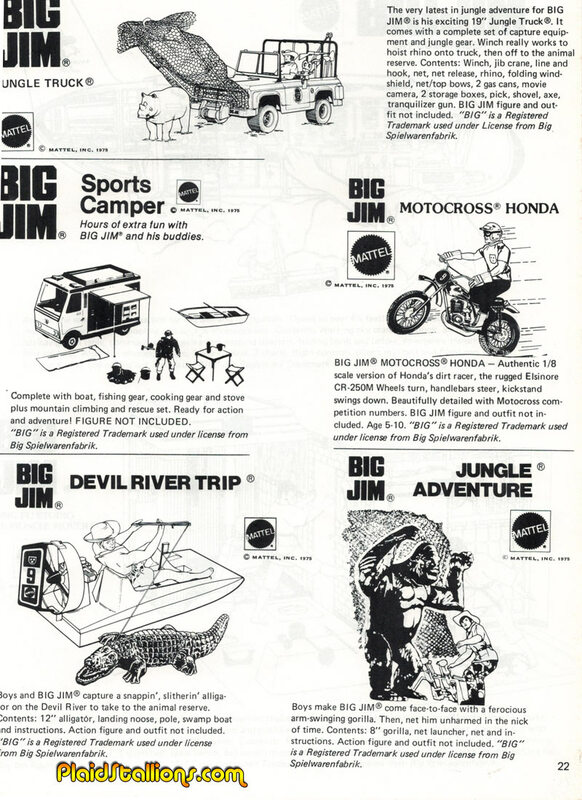 Reproduction art was a series of black and white line drawings of toy products provided to vendors for newspaper advertisements. 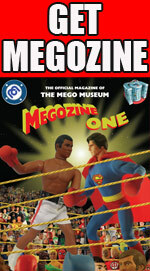 It is something of a lost art form in this digital age and something I collect. 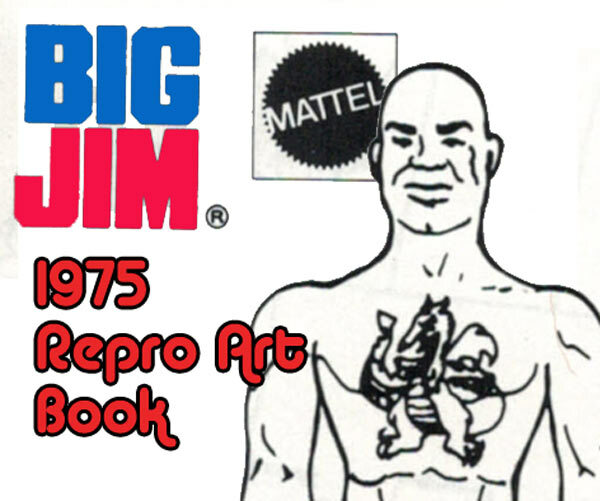 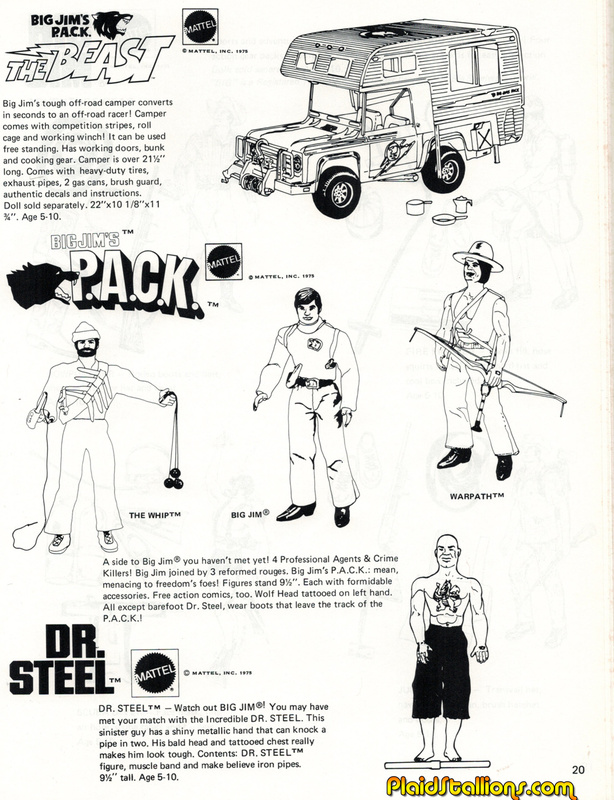 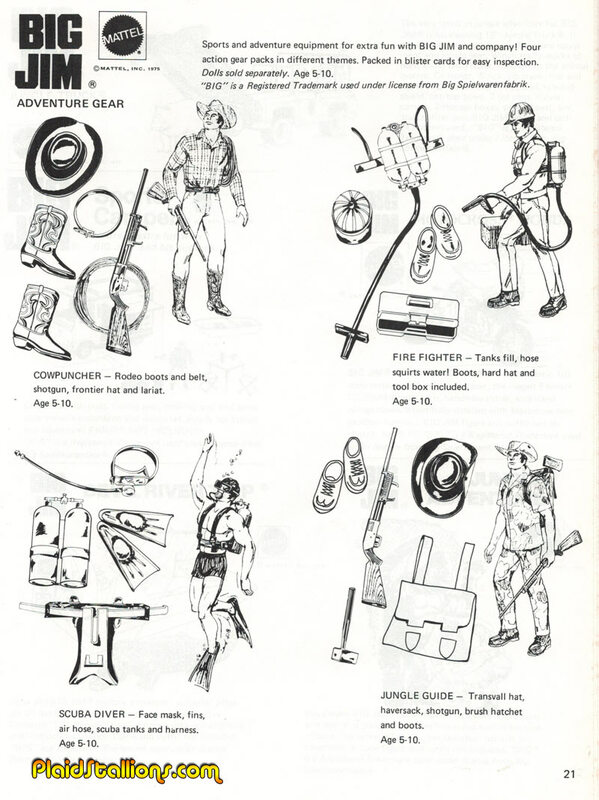 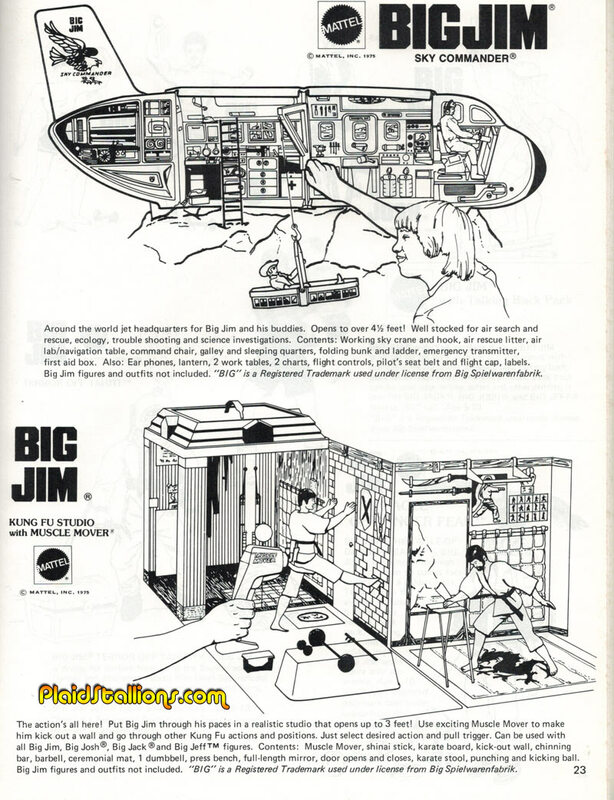 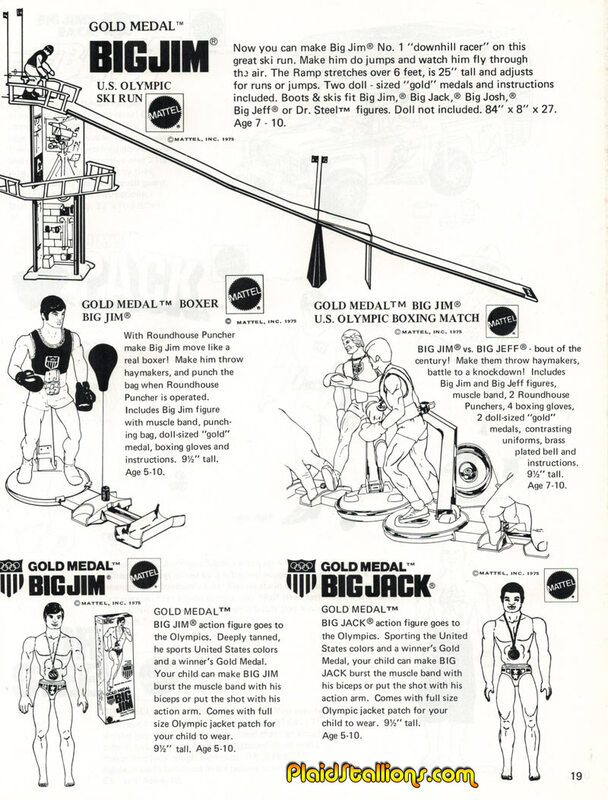 Below are the Big Jim pages from the 1975 Mattel Reproduction art book, showcasing the popular All Star brand and the very early concepts of what would be the P.A.C.K line. 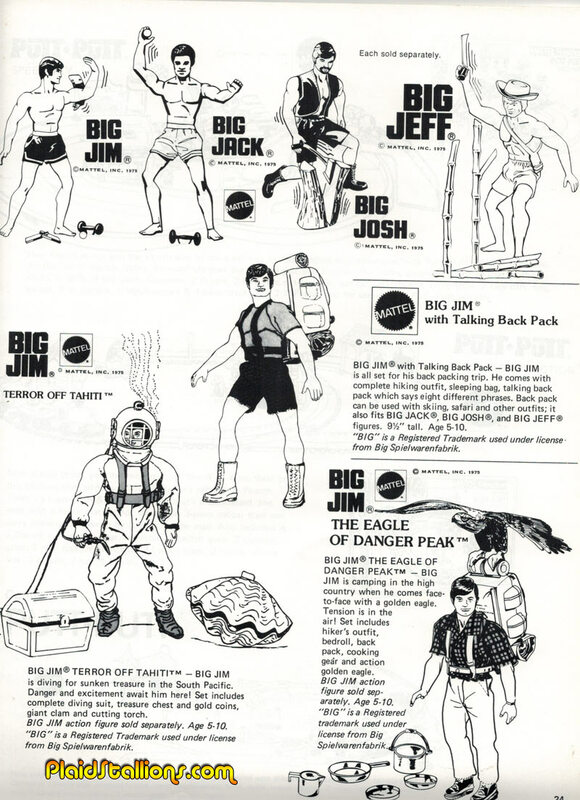 I love these early PACK illustrations, Jim looks different.